Morrissey and Interpol are going on tour together. Morrissey has shared a cover of 5th Dimension’s “Wedding Bell Blues” featuring Billie Joe Armstrong. Morrissey will release a covers album, California Son, on May 24th. Today he’s shared the cover of “It’s Over.” You can find the full track listing and guest features below. Pre-orders are now up. Morrissey performed “Back on the Chain Gang” on Corden last night. 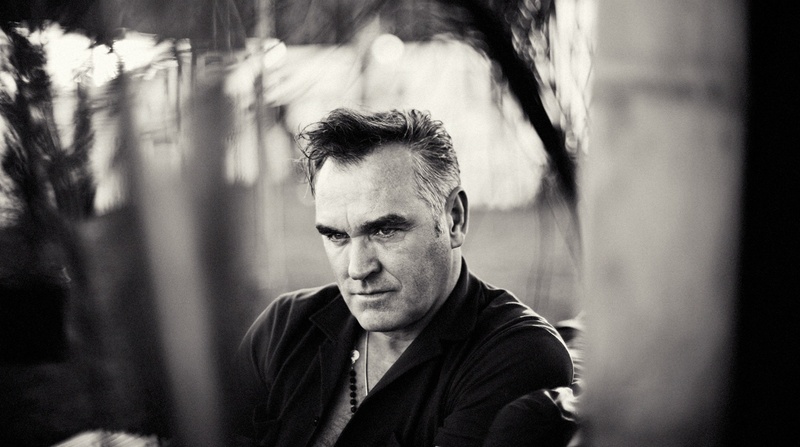 Morrissey has taken to YouTube to address the “haters that derailed” his new album. It’s always somebody else’s fault, isn’t it Moz? Morrissey has released a video for “Jacky’s Only Happy When She’s Up on the Stage” video. Morrissey canceled an outdoor show in California over the weekend because the on stage heater broke and it was too cold. I’m wondering if “Morrissey cancels” are the two words I’ve typed together the most often over the course of writing about music. Probably.